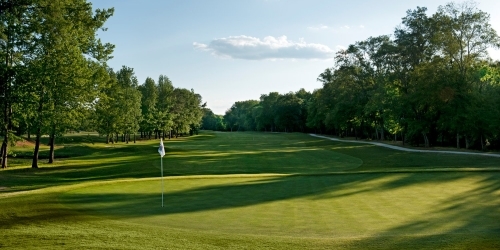 The Moore's Mill Club features an 18-hole, championship course stretching almost 7,000 yards throughout the rolling terrain and dense hardwoods native to Eastern Alabama. 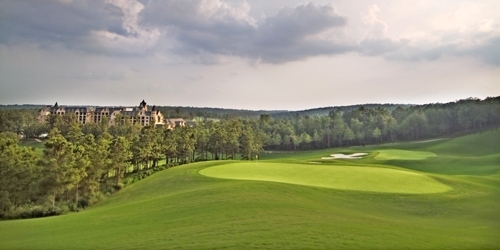 At Highland, you'll find an enticing and fun 18-hole layout, excellent course conditions, a friendly staff, reasonable rates and a golf experience unlike any other in Alabama . 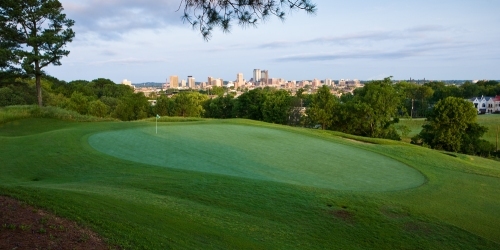 Highland Park Golf Course is best known for its pristine bentgrass greens that were voted "Best Greens" by Birmingham Magazine. Pursell Farms is proud to announce that FarmLinks Golf Club is Golfweek's #1 all-access golf course in the state: 2011, 2013, 2014 & 2015. 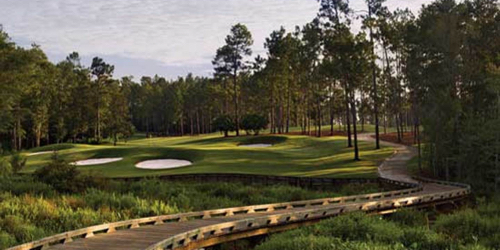 From the tips, it is as challenging as any layout on Alabama's Robert Trent Jones Trail. The difference is that FarmLinks is highly playable and rewards good shot making. 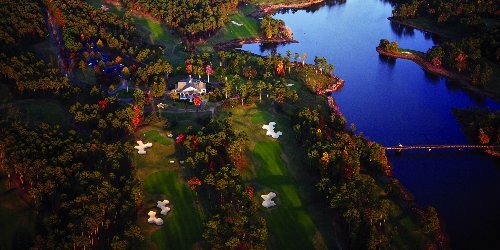 The official Robert Trent Jones Golf Trail Guide is packed with information about each stop on the award-winning trail, plus details about the Robert Trent Jones Resort Collection, professional tournaments and more. Oster Golf Home Rentals strive to provide the best lodging experience at a reasonable price, so everyone can enjoy themselves. Golf along the Robert Trent Jones Trail in style. Who'd ever think you'd find the best golf city in America right in the middle of a big football town in a bigger football state? But that's exactly why you should look! In the twin cities of Auburn and Opelika, Alabama, where being the 2010 NCAA national football champions might be the best thing we're currently known for, golf is almost as big a passion. 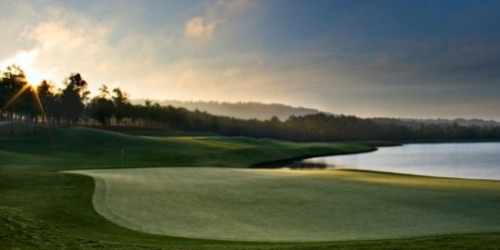 You'll see it everywhere you look: in the Robert Trent Jones Golf Trail's stunning 54 holes of 4 1/2-star golf at Grand National, a site that more than lives up to Jones' description as the best for golf he'd ever seen. Auburn-Opelika, Alabama: Golf Digest's #1 golf city in America and the home of the #1 public course in the US. Stay and play packages available to suit every taste and budget. Spectacular home rentals on the Robert Trent Jones Golf Trail. Perfect for groups of 4 - 16. Conquer the RTJ in style. 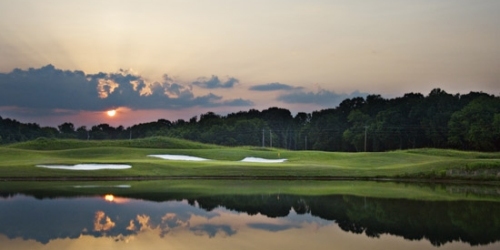 The Auburn-Opelika area is home to the world-renowned Robert Trent Jones Trail, which features two 18-hole championship courses and one 18-hole short course. 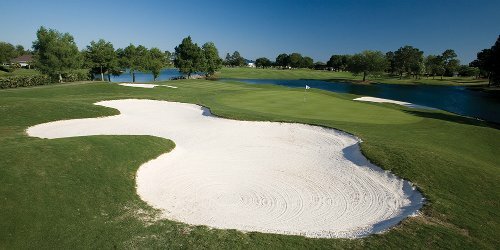 The amenities at Grand National include a practice range, putting greens, a fully stocked golf shop, locker rooms, restaurant/lounge and on-site lodging. 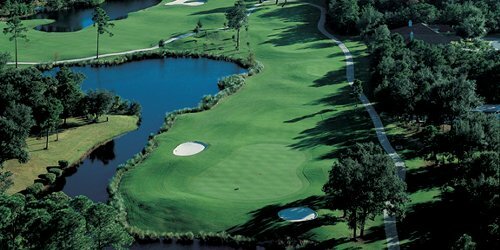 The Robert Trent Jones Golf Trail at Grand National was recognized in 2008 as the nation's number one public golf course.